Aside from the bouquet you spring for each Mother’s Day, chances are you’re a novice when it comes to flowers. 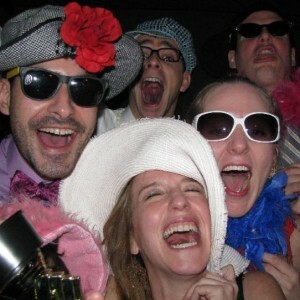 However, now you are a bride–to–be planning your dream wedding, and suddenly you must make decisions on bouquets, boutonnieres, reception centerpieces and ceremony arrangements. Overwhelming? We know! Fortunately, we are here to guide you through this process so you can enjoy planning your wedding flowers without wilting from the stress. Read through these useful tips gathered from experts in the field. Close your eyes and envision the perfect look to your wedding. Will it be formal or casual? Elaborate or simple? Bold or neutral colors? Are you a traditionalist in favor of roses or lilies, or do you favor a more contemporary floral theme incorporating grasses, fruits and herbs? 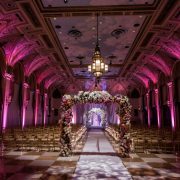 Your wedding flowers are more than eye candy; they set the ambiance for the entire event. 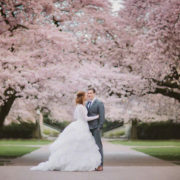 Knowing your wedding style is a start in the right direction, because you’ll want to choose blossoms that match the formality of your wedding day. Get tons of wedding flower ideas. Your color scheme should flow directly from your desired style. 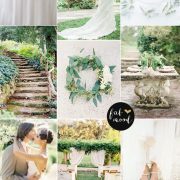 Today’s floral trends embrace an anything goes mentality, from wedding flowers in traditional whites and pastels to modern and adventurous dark hues and citrus shades. Flowers in matching shades or cool contrasts are breathtaking, but make sure they coordinate with your overall wedding theme. Choose your wedding colors accordingly, and your wedding will express your spirit. If you are still not sure where to begin, bring a bridesmaid dress fabric swatch when you meet with your florist and choose coordinating shades. You know your floral theme and you’ve chosen your color scheme. When deciding on the specific blooms your want in your arrangements, be sure to consider the season in which you are marrying. Consult the following seasonal flower guide for tips. 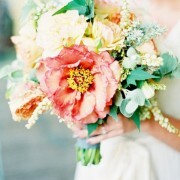 Even the most creative and artistic bride will benefit from a florist’s professional capabilities. Your wedding day will be full of activity, and you won’t want to spend vital hours fumbling with the wiring of each bouquet. A florist is not necessarily a budget breaker; a good one should be able to work with any floral budget. Check out Town & Country Gardens in Geneva, IL.